After a delicious pan of home made cranberry muffins, courtesy of Drew, we left Union island and headed for the Tobago Cays. 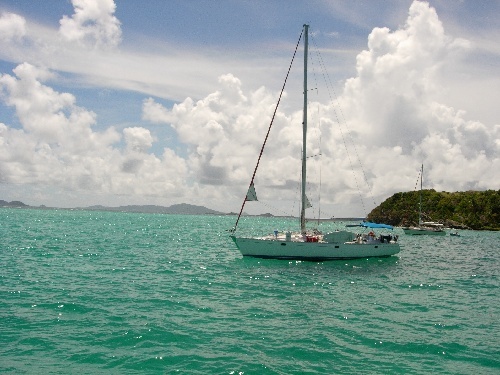 The brevity of the trip and the lack of wind prevented us from sailing as much as we’d have liked, but we were thrilled when we cruised up to the beautiful and untouched islands surrounded by sand bars, reefs, and glassy green water. 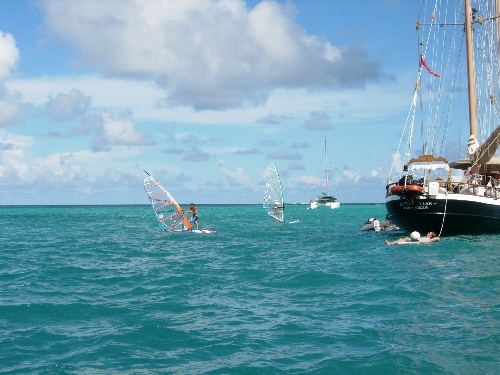 Upon arrival, most of the Near Enough crew dinghied to the beach to take some Boomer and C-tal windsurfing lessons before lunch, all the time eyeing the neighbouring island where Johnny Depp was marooned in Pirates of the Caribbean. 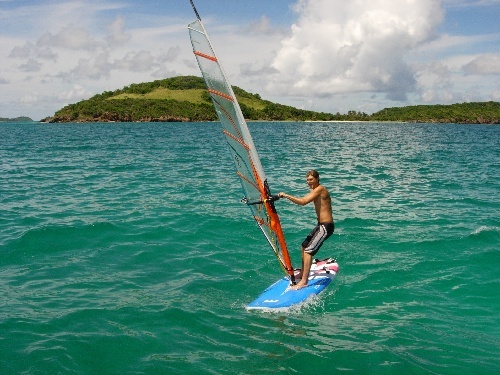 The afternoon was spent windsurfing, swimming, exploring, and working away at the litterature reviews for Oceanography. Marvelous stuffed peppers and a slide show on invertebrates on Ocean Star brough an end to the evening and left us with just enough energy to collapse in our bunks, hammock, or salon.